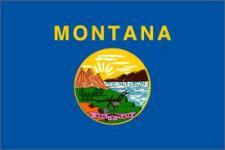 List of Montana schools offering degree programs in nursing, RN-to-BSN, RN-to-MSN, LPN, CNA, and more. From Yellowstone to Glacier National Park, Montana is a place of grand exploration. Called "Big Sky Country," the state offers beauty and relaxation. Billings is the largest city, but, as with the other cities in Montana, holds on to the feel of the wide, open spaces. Montana is one of the states in most need of nurses. An RN in Helena, the state capital can expect to make an average of $50,000.